A popular choice for many occasions. Put a smile on anyone’s face. 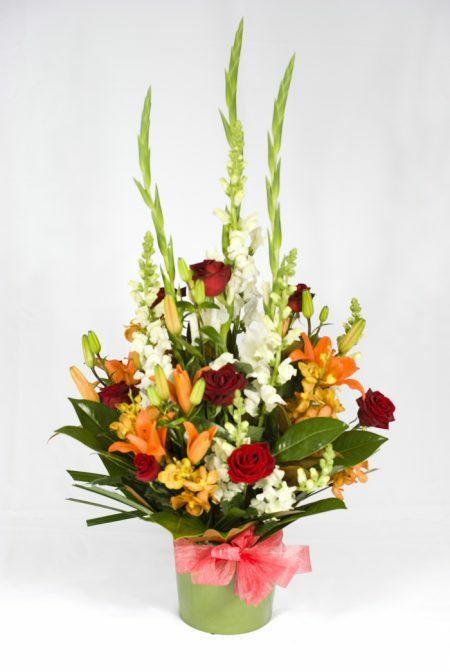 Category: Best Sellers Range, Congratulations Range, Just Because Range, Romantic Range - Flowers for St Valentine's Day, Sympathy Range, Thank You Range. A popular choice for many occasions. Colour Me can will put a smile on anyone’s face. A great bouquet for a subtle touch with an elegant charm.